Today we welcome to the table two new partners: THIR Australia (@thiraustralia) and RunWay Running (@runway.running), Sharpy’s Beer Run is back offering a couple of Free Stickers with every entry (PLUS a Free SBR THIR!) 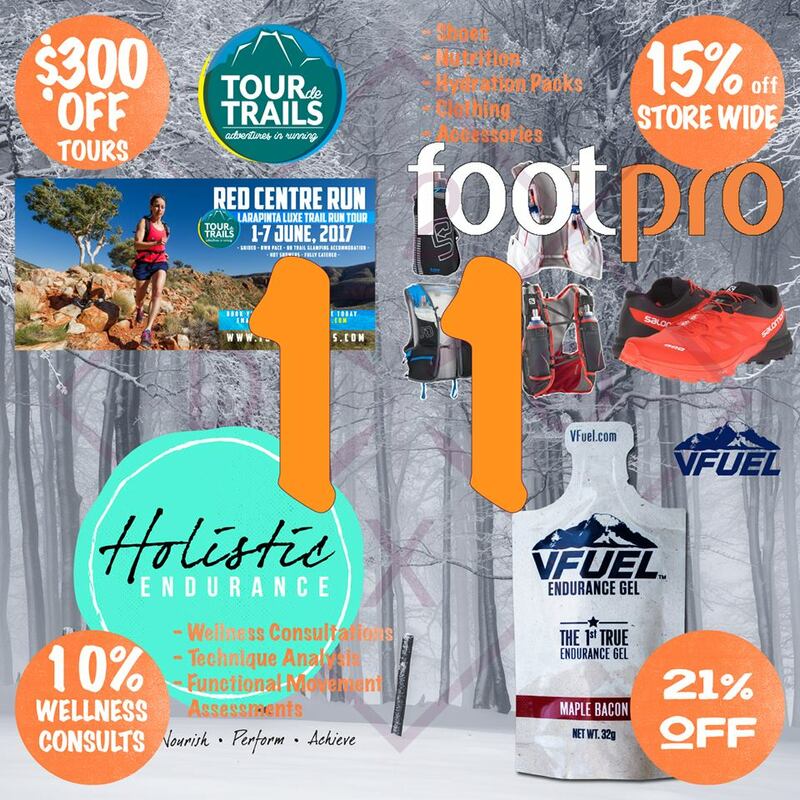 and VFuel’s discount continues to climb, with 13% off the ever-popular Fudge Brownie. /// 1. trailology.com.au // Sharpy’s Beer Run continue their #CampaignOfAwesome, offering a couple of free stickers with every entry. That’s ON TOP of the free SBR THIR that comes with the first 200 entries. Have you heard that they got a liquor license FOR THE AID STATIONS?!?!? Yep, Beer AT THE AID STATION! Head to trailology.com.au to register, no code needed. 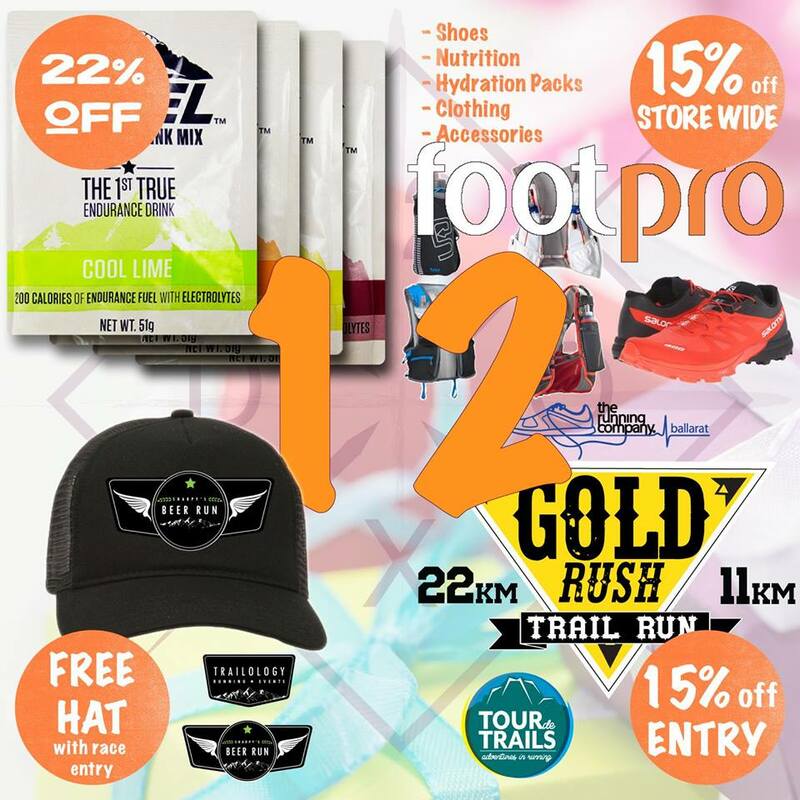 /// 2. vfuelaustralia.com // @VFuelAustralia are offering 13% off the ever-popular Fudge Brownie Endurance Gel. No code needed, discounts already applied. /// 3. runwayrunning.com // No code needed, just mention “12DoX” and they’ll fix you up. @Runway.Running are offering an incredible 50% off their programs. New on the scene but brought to you by the very well established mob behind @endurancebootcamp, you’ll be seeing Runway shirts at events everywhere in no time. ///4. thiraustralia.com // No code needed. 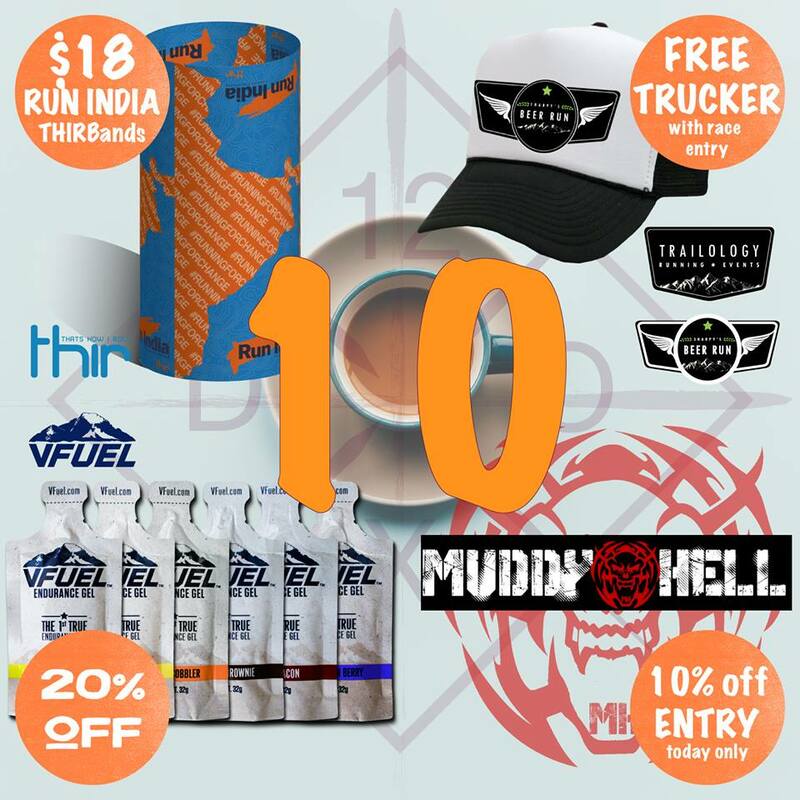 @THIRAustralia, the team that supply the awesome multifunctional headwear to events like SBR, TwoBays, Wonderland Run and some of the best Trailrunning Groups in the country, are offering a few dollars off their @runindia THIRbands. RunIndia, for those that have been living under a rock, was the brainchild of Samantha Gash, who recently completed her RUN ACROSS INDIA! Proceeds from the sale of these #runningforchange @runindia THIRbands** will go towards funding six education focused World Vision programs across India. CHECK OUT THE ONLINE SHOP or take your feet over there!